Uncomfortable fabric. Didn’t love the material. Response from Charles Tyrwhitt: The Leno texture shirts are brand new to us this season, so we are very keen to see what our customers think of them! It is, of course, a shame that the feel of the shirt has not been to your liking. They are designed as a "textured" shirt, so will have more of a feel to the material than a smoother weave like the Poplin or Twill. We appreciate your comments and will pass these through to the Products Team to take on board. Love this shirt. Might love classic fit better, but this feels so good I don't care. 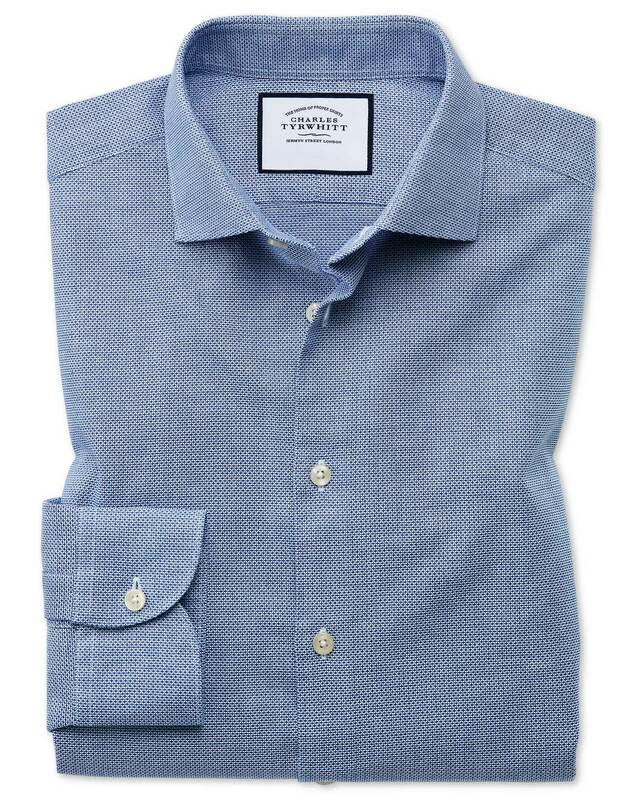 Even though it is referred to as casual, this shirt looks great with a suit. Softer texture is very comfortable.